UK Foreign Secretary Boris Johnson’s call for demonstrations at the Russian embassy in London over the war in Syria has been met with varying reactions on social media. For many, the idea that a member of the UK government would call for a protest outside another nation’s embassy was surprising. 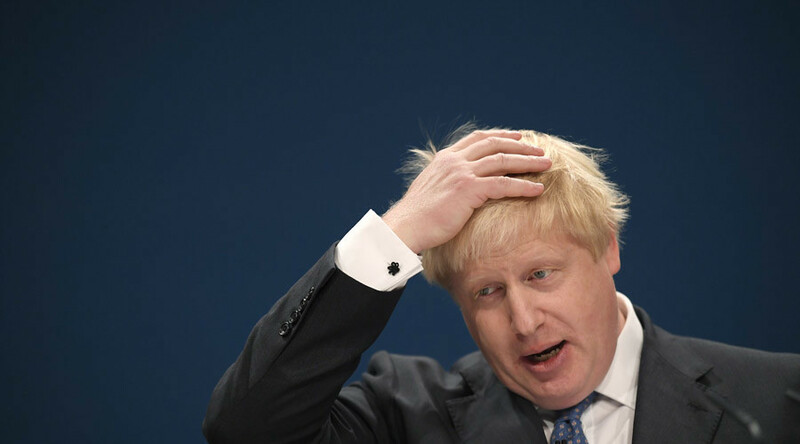 Boris Johnson is not fit to be foreign secretary. He is acting like Gaddafi and Saddam. https://t.co/sEErfBLf78 What's the point having Boris the buffoon as Foreign secretary if he expects us to do his job. #sortityourself. Others were quick to see the irony in the UK protesting conflict while supplying arms to warring countries. Many more pointed to the UK’s close relationship with Saudi Arabia, which has been bombing Yemen since March 2015. The UK has made over £3 billion ($3.6bn) in arms sales to Saudi Arabia since the war in Yemen began. The UK’s reluctance to take in refugees was also highlighted. Britain could have saved thousands of lives by taking in our fair share of #SyrianRefugees but we didn't making the #AleppoDebate posturing.